Hercule Poirot (Kenneth Branagh) is supposed to take the Orient Express to travel from one case to his well-earned vacation. But as luck will have it, there’s a murder right there on the train. As it is stopped by an avalanche, Poirot takes up the case, determined to find out who among the illustrous guests was responsible for the death of Edward Ratchett (Johnny Depp). Unfortunately, the case is anything but straightforward as Poirot soon discovers. 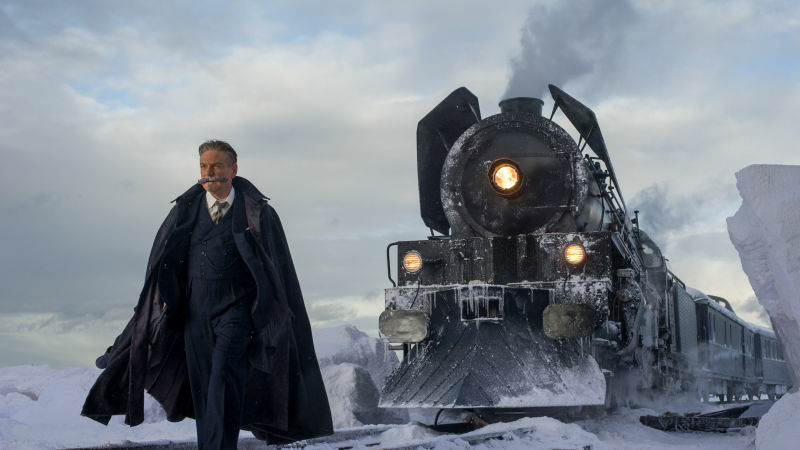 Murder on the Orient Express starts off strong enough, but with every further plot twist, the film seems to slip more and more out of Branagh’s control. The result was mostly meh with a couple of shiny moments. I have to admit that I didn’t know the story before this film. I haven’t read many of Christie’s novels (crime is not really my genre) and Murder on the Orient Express wasn’t one of the ones I did read. Nor have I seen the other movie version(s). And my first thought about it is that it’s incredibly stupid (which is unlike the other Christie stories I read) and absolutely contrived. Plus, the ending goes against every one of my legal philosophy convictions (as much as I have them in any case) and it just doesn’t fly for me. So maybe that’s more why it felt like the film spirals continuously out of control than Branagh’s direction. But then again, the film does end up referencing (extremely unsubtly) The Last Supper and that’s all Branagh and didn’t work for me at all. The best thing about the film were the first 10 minutes before Poirot actually boards the train. 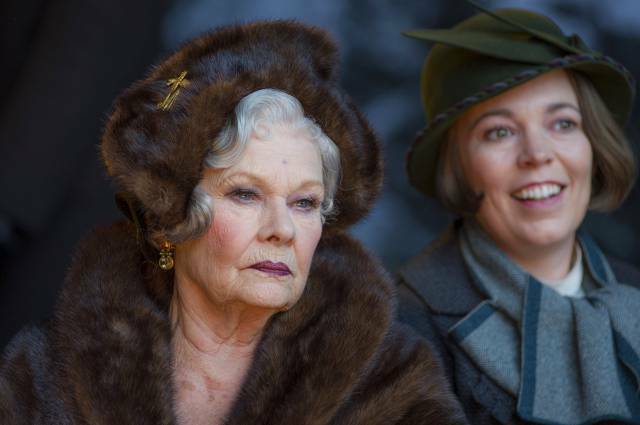 If the film had managed to keep up the tempo of those 10 minutes, paired with the sense of humor that didn’t completely derail the film (as it does at times later in the film… I mean, are we really supposed to take Poirot seriously? ), it could have been great, especially with that all-star cast. Instead the film is pretty much a mess that doesn’t seem to know what it wants to be. There are moments here and there where the film it could have been sparkles through and the cast really gets to shine. But it just isn’t enough. 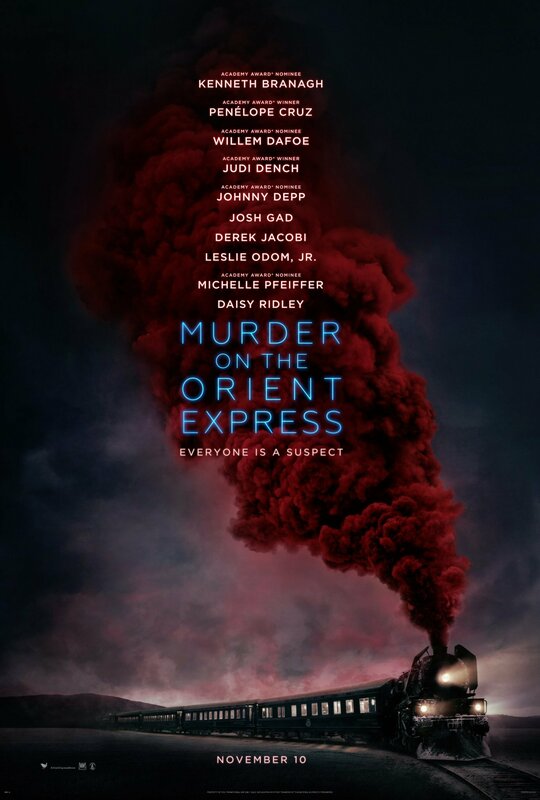 This entry was posted in movies and tagged 2017, Agatha Christie, Daisy Ridley, Derek Jacobi, Johnny Depp, Josh Gad, Judi Dench, Kenneth Branagh, Leslie Odom Jr., Lucy Boynton, Michael Green, Michelle Pfeiffer, Murder on the Orient Express, Olivia Colman, Penélope Cruz, Sergei Polunin, Willem Dafoe by kalafudra. Bookmark the permalink.